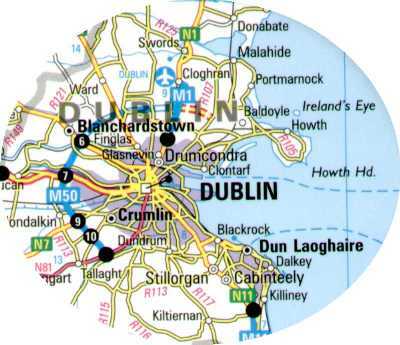 The population of Dublin is over one million and like most capital cities there is a transport problem. Quite simply, during rush hour periods (morning and evening) traffic congestion is so bad that occasionally traffic comes to halt. After many years of research it has been decided to design and build a new bridge to cross the River Liffey - this should help traffic cross the river, reducing congestion. 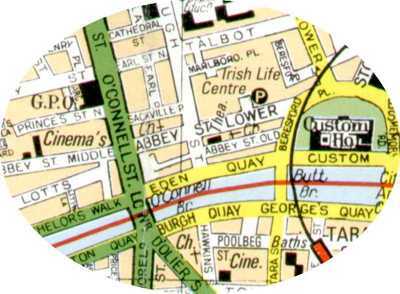 The new bridge will be sited somewhere between O’Connell Street and Beresford Place. 1. Locate the two roads using map 2. 2. Draw a topological map showing the exact location of the new bridge. and explain your choice of location. A. Mention the extra facilities the bridge has to offer. B. Include a drawing of the bridge. C. Include a topological location map of the bridge. 5. What are you going to call the bridge?